The looms continue weaving in Washougal, Washington, as the mill celebrates 100 years as a key part of Pendleton Woolen Mills’ operations. Running three shifts a day, the mill’s 190 employees keep the dye house, looms and sewing rooms humming to produce the virgin wool fabric used in Pendleton products. Washougal sits on the banks of the Columbia River at the entry to the scenic Columbia River Gorge. 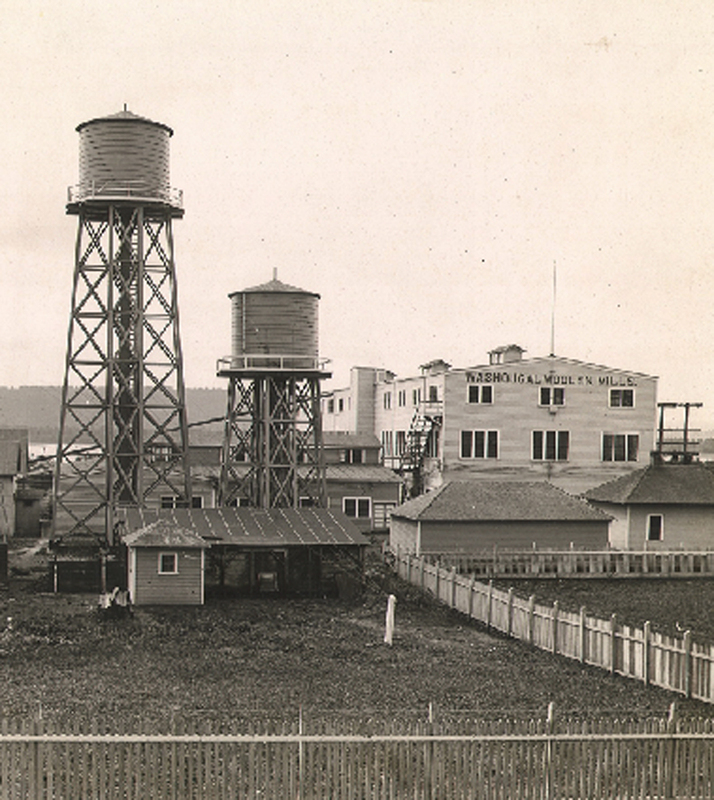 Pendleton was already operating a mill in Pendleton, Oregon, when the company acquired the Washougal mill in 1912. The additional mill gave Pendleton the ability to weave a wider variety of fabrics. Sir Pendleton worsted and Umatilla woolen fabric are both woven in Washougal, as well as fabrics for the women’s line. “The Washougal community helped fund the startup of this mill and has supported Pendleton ever since,” said Charlie Bishop, VP of Mill Operations. In turn, the mill has been a major employer in this small Washington town since it opened. Fabric weaving was once a major industry in the United States, with more than 800 mills in operation. Today only a handful of those mills remain. At 100 years young, the Washougal mill is thriving as a world-class facility with state-of-the-art technology and machinery. 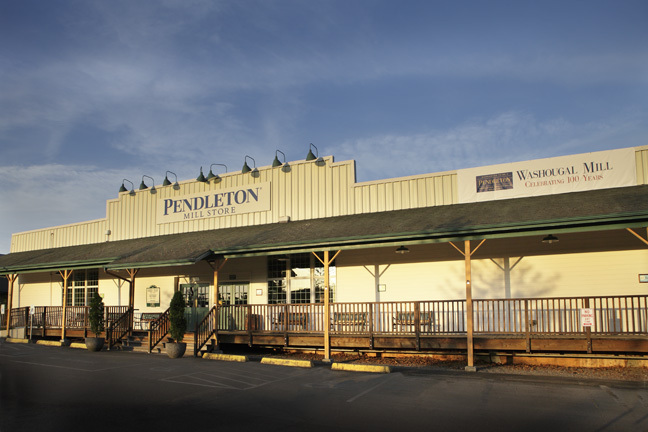 In recent decades Pendleton has added dye house computer technology, wider looms to allow for the production of king-sized blankets, additional finishing equipment, more napping machines and a team sewing system to help the Washougal mill meet the tremendous demand for made in the USA textiles. The mill has worked hard to develop environmentally friendly and compliant processes. The Washougal mill traditionally marks important occasions by ringing a historic brass bell that sits above the boiler room. The bell was cast in 1865 in Boston, Massachusetts, at the famous Revere Foundry, founded by Revolutionary War hero Paul Revere. The bell saw service at Davis & Furber in North Andover, Massachusetts, until 1865, when it was sent by sailing ship around the horn and up to Brownsville, Oregon, the site of another Pendleton mill. A young Clarence Morton Bishop worked at the Brownsville mill at the time. According to the Pendleton’s current president, Clarence Morton Bishop III, “There may be some letters in the Pendleton archives where the original CM Bishop laments the bell tolling him out of bed as a young boy.” Brownsville closed in 1918. The bell was given to Clarence Morton Bishop, perhaps as a souvenir of all those early mornings. He moved it to the Washougal mill, officially dedicating it in a ceremony on June 30, 1938. It still hangs there today. “To me, sitting atop the boiler room and machine shop, that bell is the centerpiece of our mill,” said Charlie Bishop. 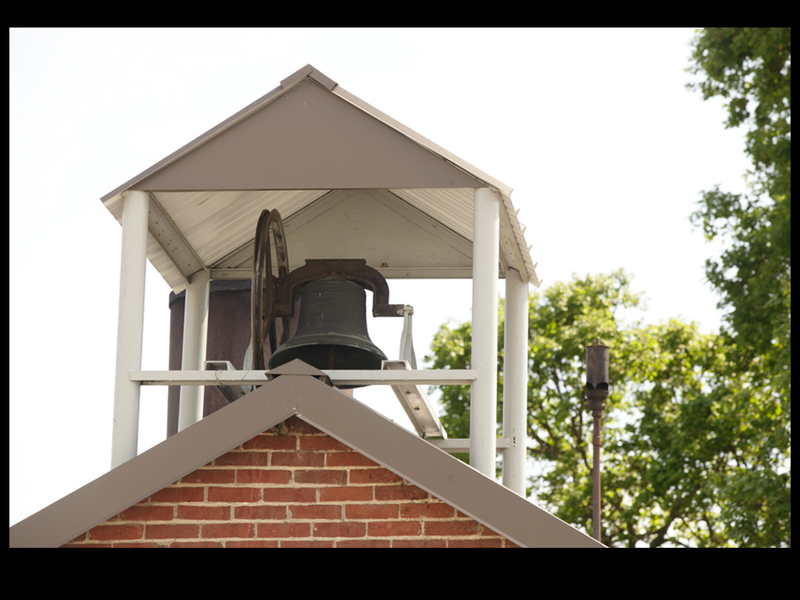 Although the bell no longer rings out at 6:45 and 12:15 to remind workers to return to work, it still tolls on special occasions. In May 2012, the bell rang to mark the retirement of Thang Nguyen after 35 years of service. The bell will also ring in August 2012 to mark one hundred years of community and American-made quality at the Washougal Mill. To commemorate this historic milestone, Pendleton Woolen Mills, the City of Washougal, Two Rivers Heritage Museum, and Washougal Town Square are hosting a community celebration Aug. 3rd and 4th at the Mill, the Museum and in the surrounding community. Dedication Ceremony, 100 Year Celebration Cake Cutting, Pendleton Woolen Mills, 10 – 10:30 a.m. The Generation of Family Celebration – Honoring the multi-generations of families who have worked at the Washougal Mill, including community families with 3 generations or more of employees, the Bishop Family (now in its 6th generation of Pendleton Woolen Mills ownership since 1863) and the Washougal family including Mayor Sean Guard. Washougal Days Beer & Wine Garden, 5 – 11 p.m. music from 6 p.m. Continue the celebration with music and food for everyone. Adults 21 and over can enjoy the outdoor beer & wine garden. Hosted by the City of Washougal. Admission charge. Washougal Mill Outlet Store, open 8 a.m. – 5 p.m. with specials throughout the store in addition to free cake. Mill tours at 9 am, 10 am, 11 am and 1:30 pm. 2 Pendleton Way, Washougal, WA. For tours: call 360-835-1118 or 800-568-2480. Papa’s Ice Cream, open for the celebration from 8 a.m. – 9 p.m. HEARTH Restaurant, open for the celebration from 4 p.m. to close with live entertainment in the square. Heritage Days 5K Run/Walk, 9 a.m. Start the day with this fun run/walk event sponsored by the Camas Lions Club and the Washougal Lions Club. Admission is free; donations accepted. Kids & Kritters Parade, Pendleton Fields, 20th and A Streets, 10 a.m. Kids (and their parents & grandparents) and “Kritters” of all shapes and sizes are welcome to join the parade. Come a few minutes ahead to get a number and position in line. Two Rivers Heritage Museum, 11:30 a.m. to 5 p.m. The Camas Washougal Historical Society will host its annual Heritage Day celebration and fund raiser at TwoRiversMuseum which includes free admission to the museum, craft booths, blacksmithing demonstration and mountain men setting up a camp with black powder demonstrations. Museum tours include collection of antique sewing baskets and quilts, old tools, blacksmith forge, a horse drawn sleigh and a doctor’s buggy. Enter to win prizes, including a Pendleton Blanket. Equestrian Demonstrations, Pendleton Woolen Mills, 1 – 2 p.m. This event will include presentation of the US Flag and National Anthem, equestrian drill teams and pony cart demonstrations. Washougal Days Beer & Wine Garden, ReflectionPlaza, 5 – 11 p.m., with music from 6 p.m. Continue the celebration with music and food for everyone. Adults 21 and over can enjoy the outdoor beer & wine garden. Washougal Mill Outlet Store and Mill Tours, open 9 a.m. – 5 p.m. with specials throughout the store and tours at the mill next door. The mill is open to the public for tours year-round. Visitors can see (and hear) the entire process that transforms giant bales of scoured wool into Pendleton’s “Warranted to Be” textiles. To learn more about public tours, visit www.pendleton-usa.com. The mill is located at 2 Pendleton Way, Washougal, WA, 98671.